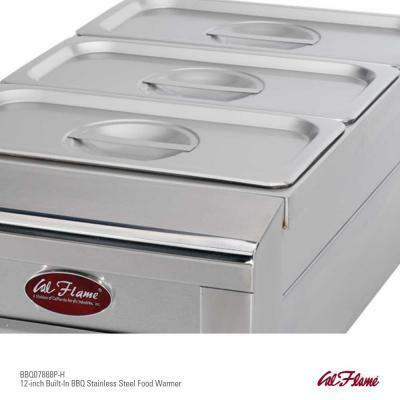 Serve guests buffet style from your outdoor kitchen with this stainless steel Cal Flame 12 In. Drop-In BBQ Food Warmer. Three generously sized compartments keep favorite foods hot and ready to eat. Each compartment has an individual cover to contain heat while serving. 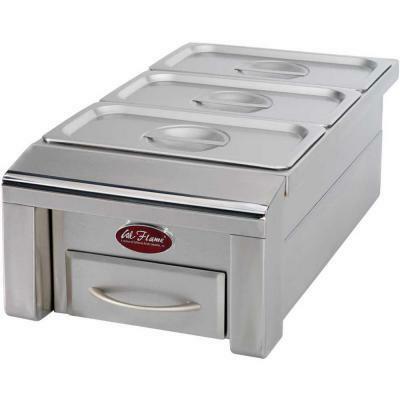 Constructed of 430-Grade stainless steel for years of durability.